Armour: 3 inches in the engine room. Propulsion: 2 Thornycroft triple expansion boilers with 1.300 hp, 2 screws. Power: 1 generator of 60 kVA. Range: 1.350 miles @ 10 knots. Armament: 1 152 mm gun, 2 87 mm mortars, 2 47 mm guns and 4 Anti Aircraft machine guns. 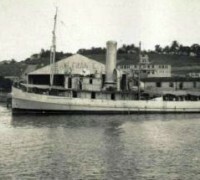 Survey ship Parnaíba - U 17, was the fifth ship to bear that name in the Brazilian Navy, in honor to that river of the state of Piauí. 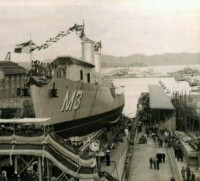 It was built by the Brazilian Navy Arsenal of the Island of the Snakes, today AMRJ. She had her keel laid on June 11, 1936, by President Getulio Vargas. Launched on November 6, 1937. 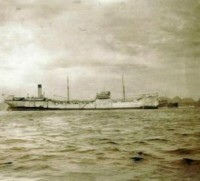 She was incorporated to the Flotilha of Mato Grosso on March 4, 1938. Her first Commander was Lieutenant commander Armando Belfor Guimarães. 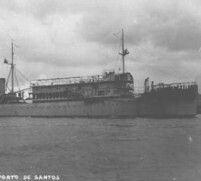 On 19/Apr/1943, she was of transferred from the Flotilha of Mato Grosso for Salvador, being incorporated to the East Naval Command, in November. Parnaíba took part in six convoys and also escorted the Batttleship USS Iowa - BB 61, when the latter departed Salvador-Bahia. 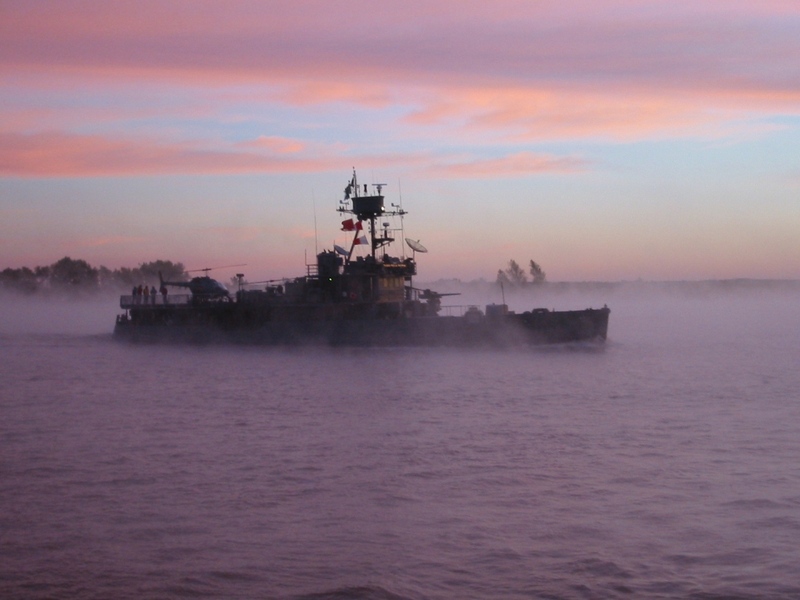 This gallant ship is still in operation in the Brazilian Navy as a patrol craft in the Amazon region.